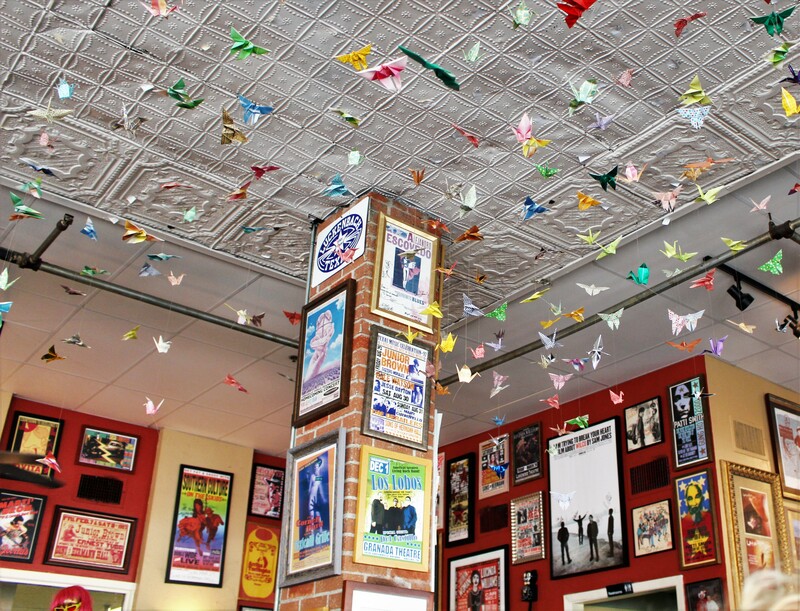 AllGood Café has been on my restaurant bucket list for some time. I was glad to have the opportunity to try it. We arrived right before the rush and I am glad we did because the line grew quickly. I loved the thrown together interior. 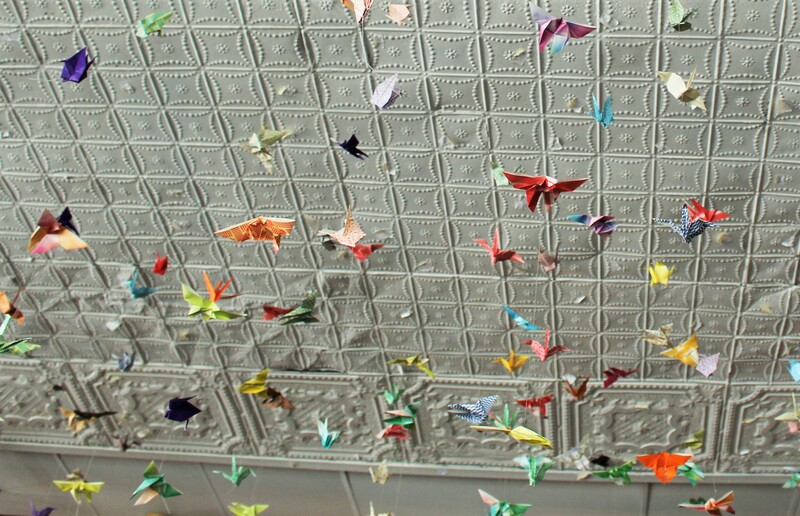 The origami pieces floating from the old ceiling tiles were inviting and lively. All the framed posters and signage were colorful and interesting. We were seated but it took a bit before our server appeared and took our drink order. He seemed flustered. We ordered and waited. He returned with our drinks. The coffee was weak. Not a good start. 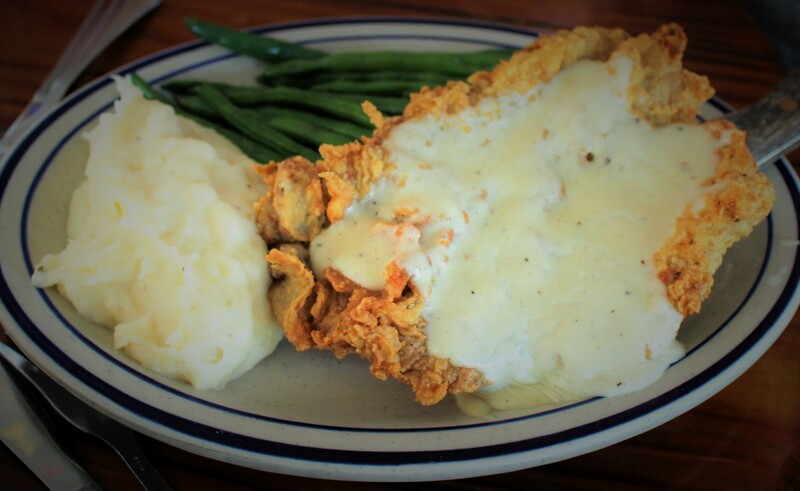 K ordered the chicken-fried steak. It looked tasty. but not so much. The breading pulled away from the steak making it impossible to get a perfect bite. They were a little skimpy with the gravy and it had too much flour and not enough seasoning. Mashed potatoes were meh. Thankfully the green beans were fresh and crispy. 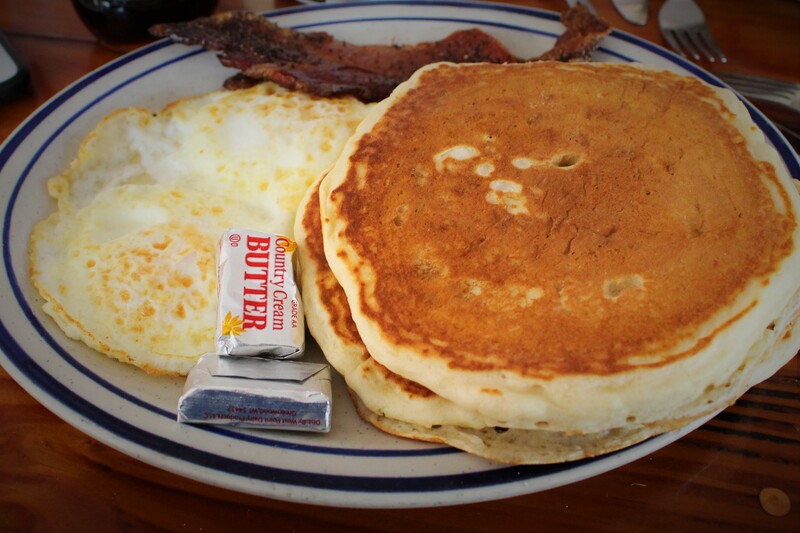 I ordered the Breakfast #2 – two eggs, pancakes and peppered bacon. My eggs were cooked to my liking – over medium. Peppered bacon? Yes, please. It was cooked crisp and chewy. Too bad the pancakes did not live up to the rest of the plate. They were dense and tasteless. I tried to make it work with the syrup and butter, but no luck. The entire meal was hit and miss. 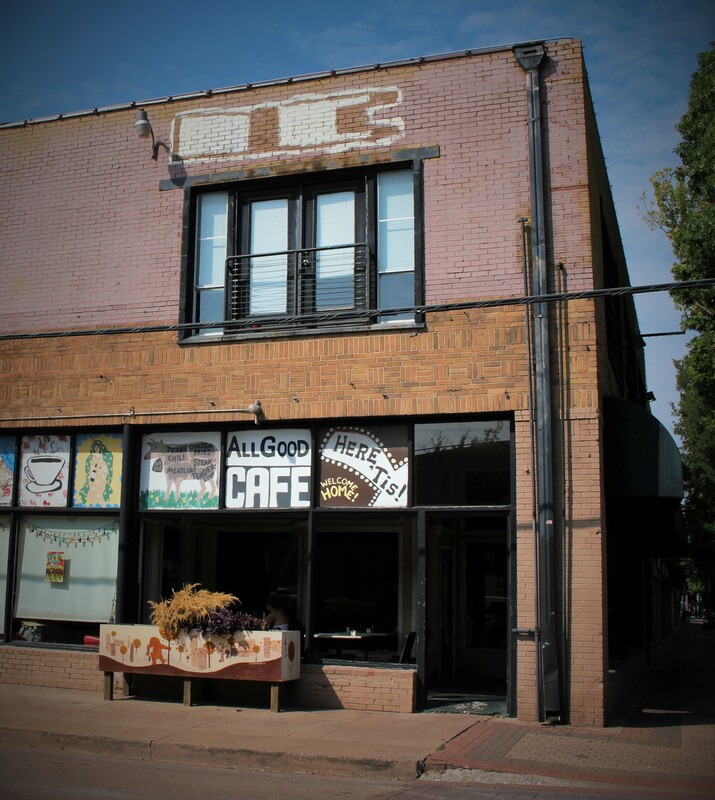 Sad to say AllGood Café was NOT all good.